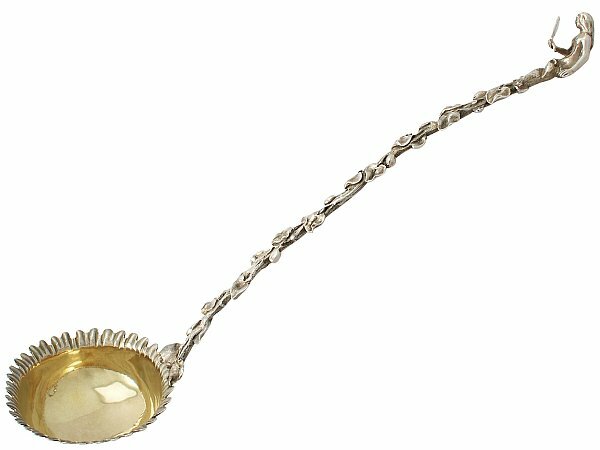 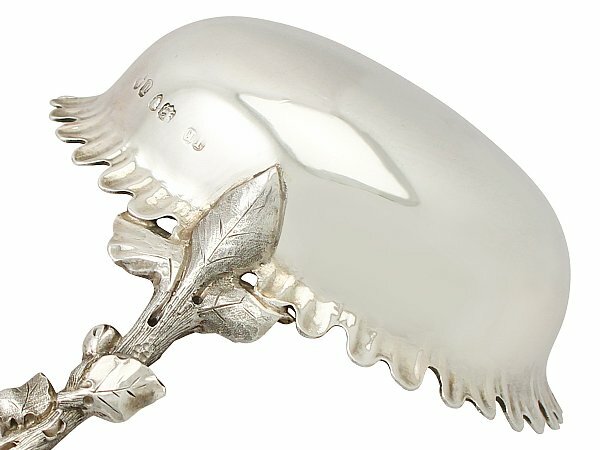 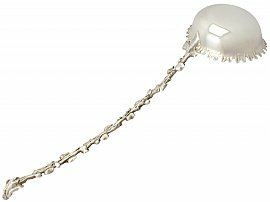 This exceptional antique Victorian cast sterling silver punch ladle has been crafted in a very unusual naturalistic form. The stem of the handle is ornamented with fine and impressive decoration reproducing the features of an ivy vine. 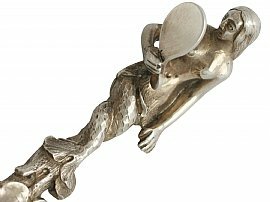 The handle is further embellished with an impressive terminal depicting a mermaid peering into a hand mirror. 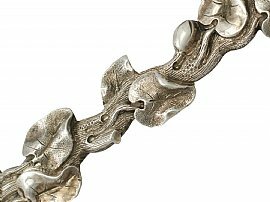 This exceptional silver punch ladle is further ornamented with an impressive trifurcating leaf design forming a shaped heel, in junction with the bowl. The oval rounded bowl of the ladle is encircled with an impressive chased leaf textured, undulating flared border to the rim. 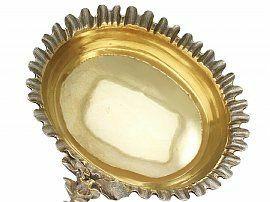 The interior of the bowl retains the original gilding. 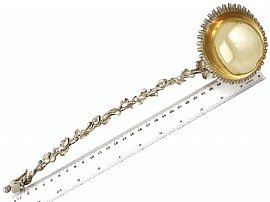 This antique punch ladle is an exceptional gauge of silver and exceptional quality. 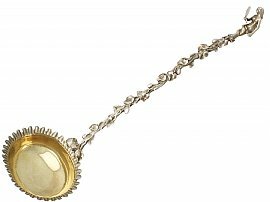 The ladle is in exceptional condition in keeping with age. 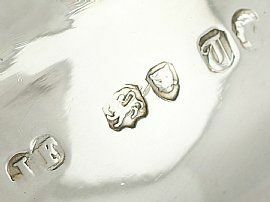 Full hallmarks struck to the reverse surface of the bowl are all very clear; there is some slight wear in keeping with age and location.